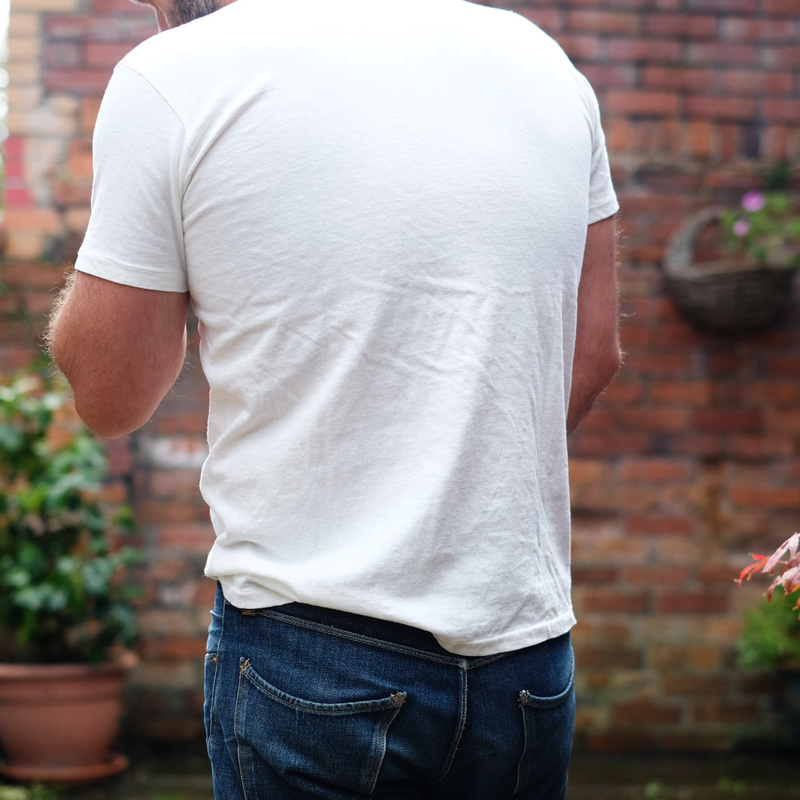 Soft, strong, durable, a great fit and what’s more, there’s 2 in a pack! 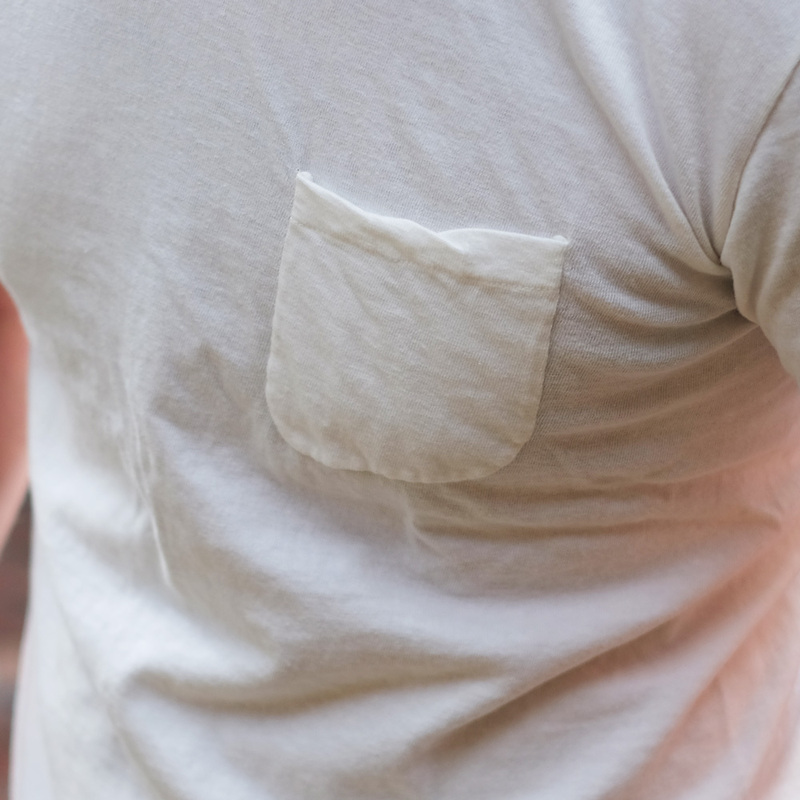 The 2 pack pocket tee’s from Stevenson are a super soft, nice and simple t-shirt. 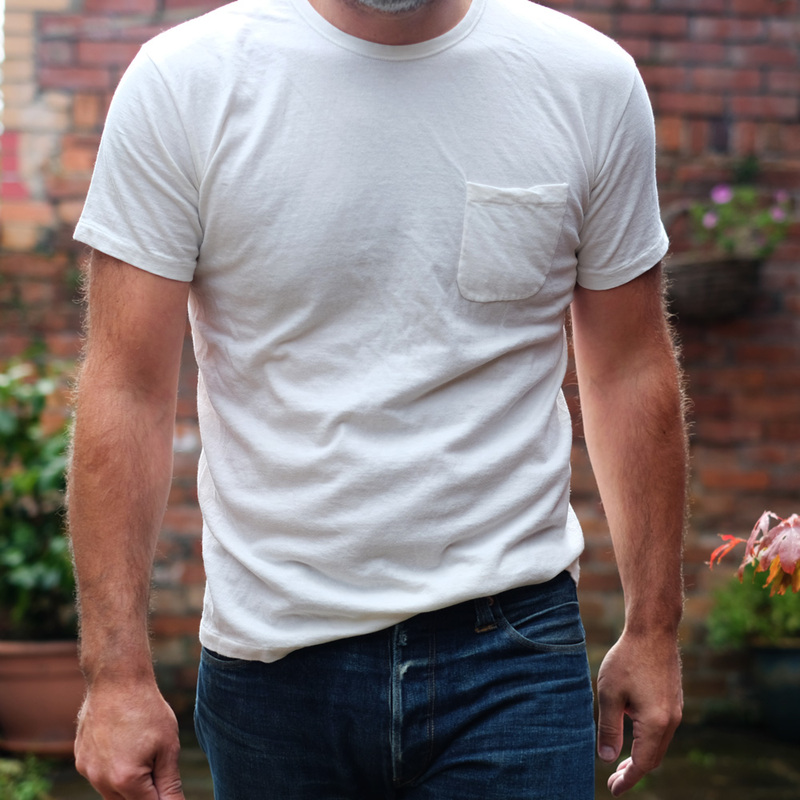 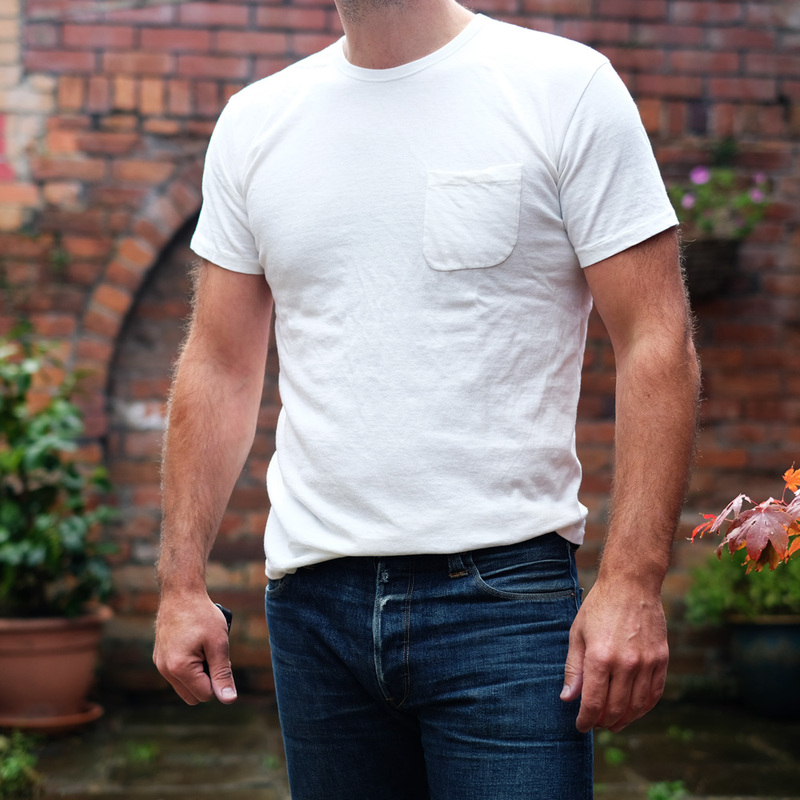 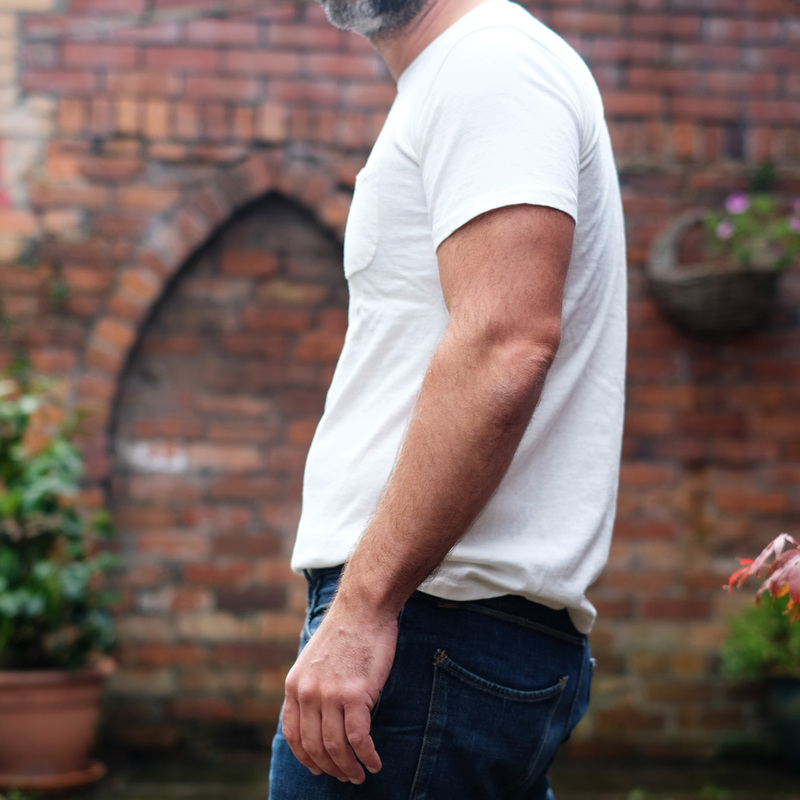 Well made with a tubular knit (no side seams) which help retain their shape, small chest pocket with no visible seam for a clean finish and a fit that has the much coveted James Dean short sleeve boxiness with a modern slim silhouette. 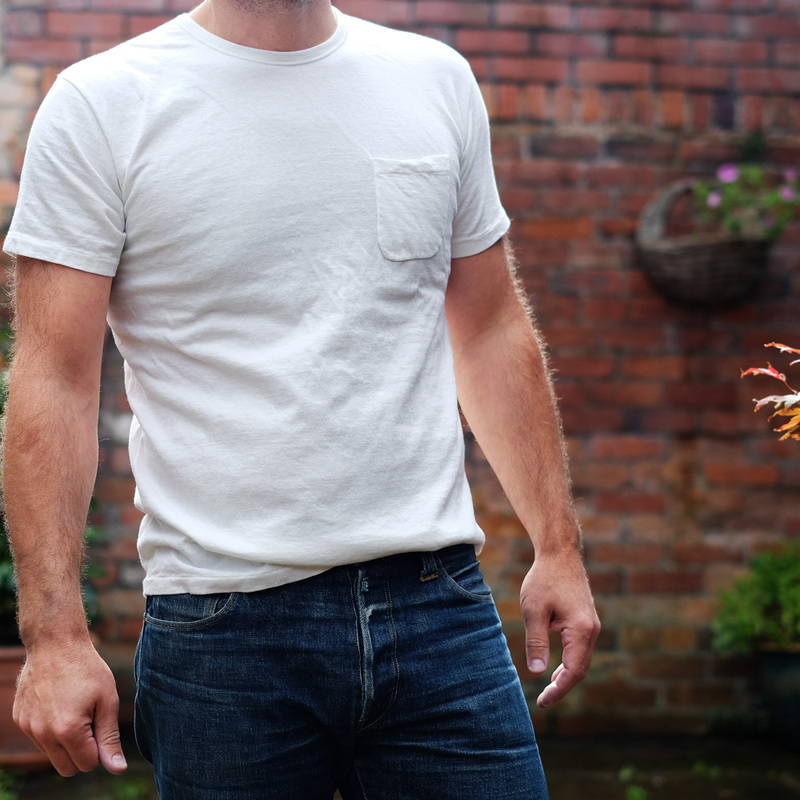 The fabric is loop-wheeled (almost extinct gravity fed cotton production) giving a soft and textured handle. 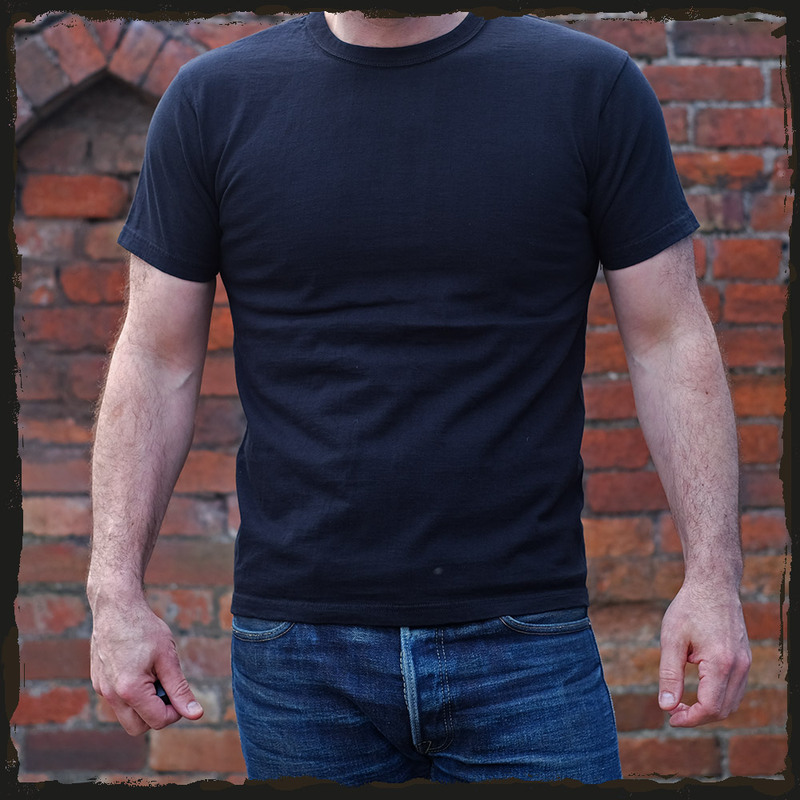 It is sturdy but not too heavy, holds up very well to repeated wash and wear with a double stitched ribbed neck band for sag resistance. 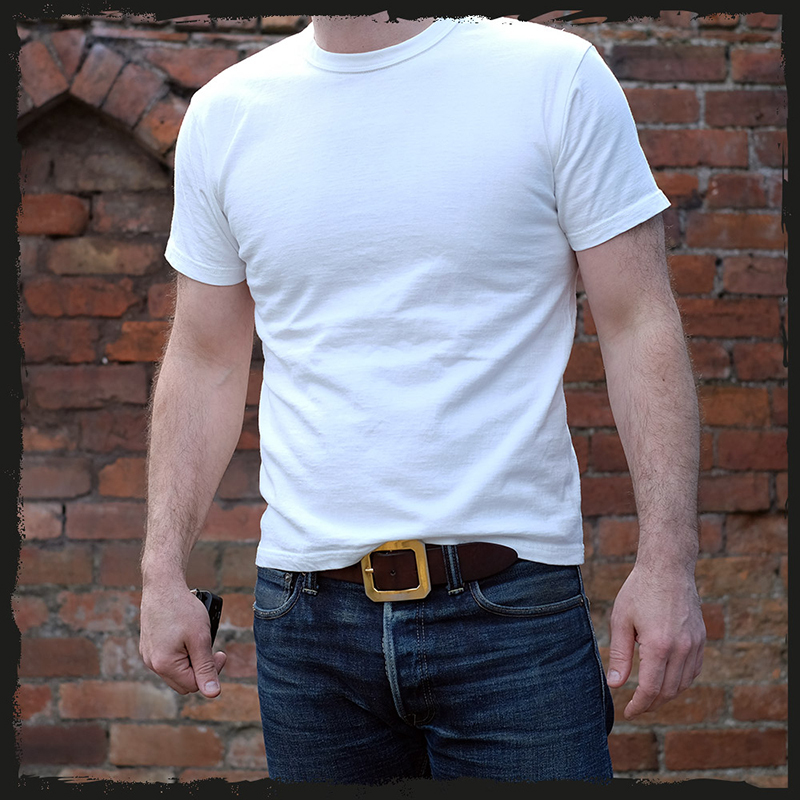 The loopwheeled fabric for this t-shirt is long staple and soft so will stretch a bit with wear. 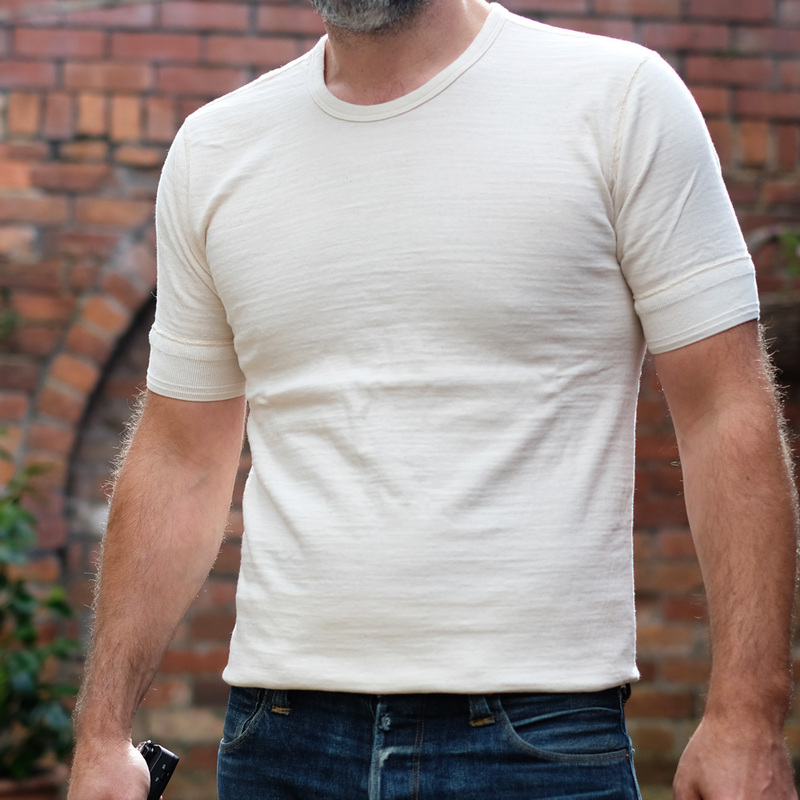 He is wearing a MEDIUM and generally takes a medium/ 16 / 38-40 (occasionally large/ 40-42 in Japanese made clothing) in most tops and shirts.